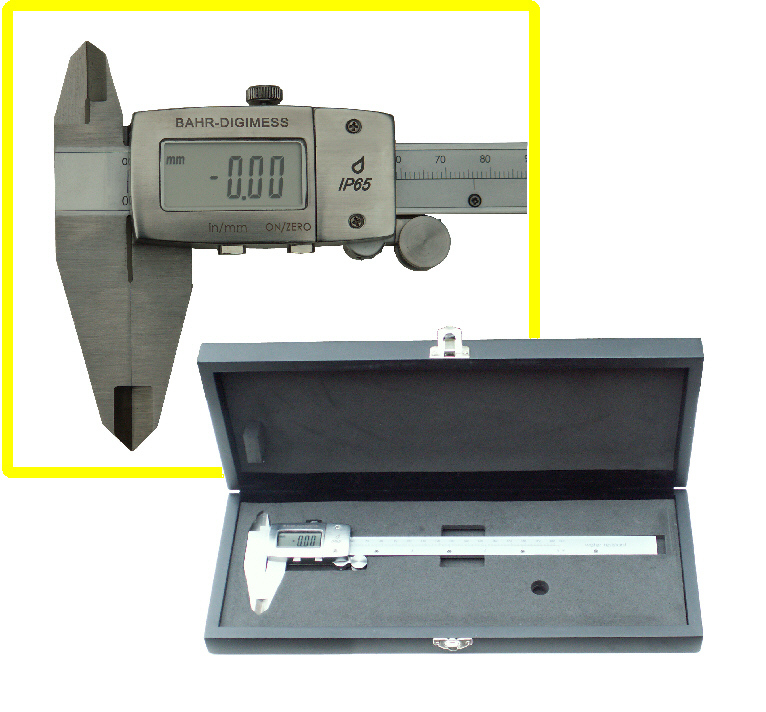 Extreme waterproof (IP65) Digital caliper with 200mm range. Hardened stainless steel, smooth action, absolute top quality. Large readout with 0.01mm resolution. Switchable between metric sizes and inches. Reduces measurement errors. Storage case included.